It can stay on for up to three years using one single battery. Rugged anodized aluminum alloy housing and waterproof to 150 feet. Because the rear flip cover is transparent, user can fire sight with covers on. 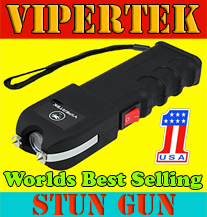 The AN/PEQ-15, a multifunction laser device that emits a visible or infrared laser and uses an illuminator, cuts size and weight while providing more functionality than its predecessor. Also called the Advanced Target Pointer Illuminator Aiming Light (ATPIAL), the system's laser may be used with or without a night vision device. The ATPIAL can be used in a variety of lighting conditions, always offering precise aiming and target acquisition. SpecterOZ Combat Scope is ELCAN's next generation continuous zoom 5x-20x rifle scope with 16 levels of discrete magnification for superior accuracy in long-range engagements. The system is equipped with the SpecterMRD2, an integrated, ruggedized, enclosed, 1x unity power 2MOA Mini-Red Dot (MRD) Sight for rapid target acquisition in close engagements. 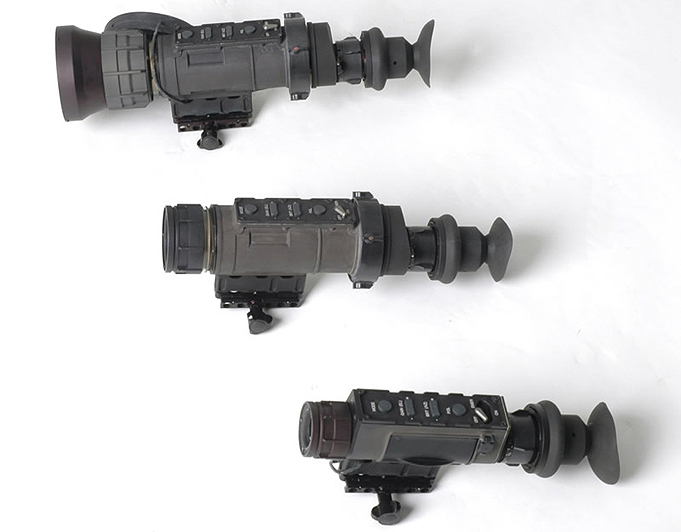 Additionally, the scope provides 3-inch eye relief, 36mm entrance pupil, high exit pupil at all magnifications, proprietary rapid target acquisition system, and zeroing and focus adjustments with tactile feedback—all within a system less than nine inches long and weighing approximately 32 ounces. SpecterOZ combines superb close quarter-, mid-, and long-range engagement performance to the maximum effective range of multiple weapons platforms in one lightweight, compact, optimized sighting system. Light Weapon Thermal Sight (LWTS) weighs less than two pounds and has a man detection range of at least 550 meters. DRS believes that it is best suited for close quarter combat and recon. The LWTS can be placed on M16 and M4 rifles. Medium Weapon Thermal Sight (MWTS) weighs a little over three pounds but doubles the LWTS's range. MWTS sports a wide 18° x 13.5° horizontal field of view for urban ops, but has the ability to narrow its field of view for more distant targets. 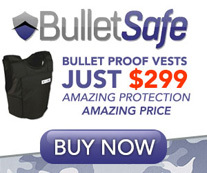 It can be used on medium weapons such as the M249 and M240 series machine guns. 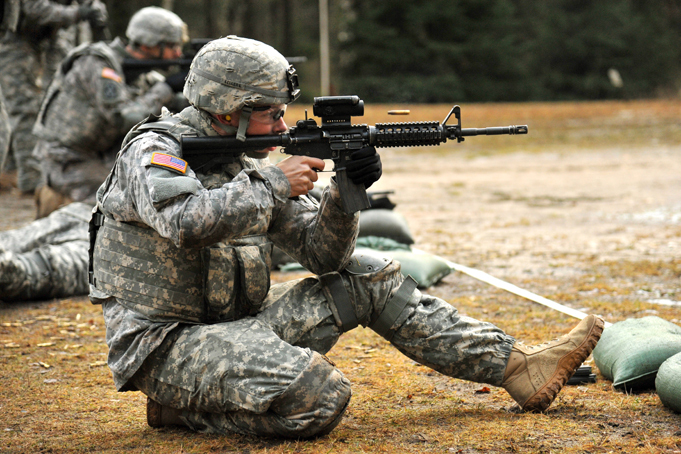 Heavy Weapon Thermal Sight (HWTS) weighs in at 3.7 pounds and provides a detection range of at least 2,200 meters. 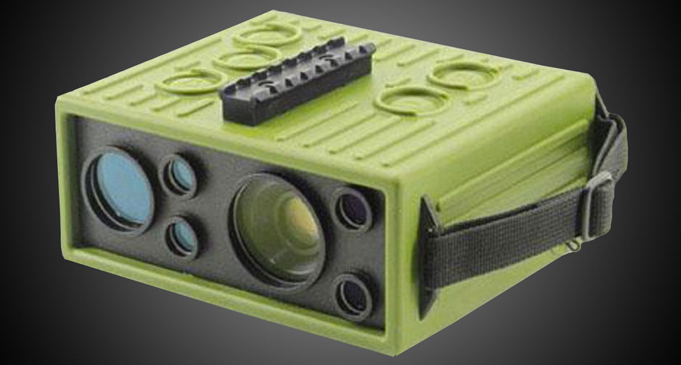 Its 9° x 6.9° to 3° x 2.3° field of view is ideal for detection and ID of far-off targets. In addition to standard issue rifles, the HWTS can be used on M24 and M107 sniper rifles and M2 HB and MK 19 machine guns. EOTech Holographic Weapons Sights (HWS) are favored by elite U.S. military forces because they are the fastest target acquisition sights on the market today. 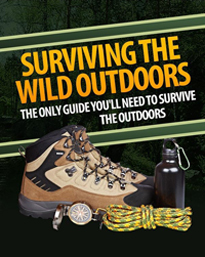 The EXPS3 is renowned for its durability and use in extreme conditions and is waterproof, fog-proof, and shock-proof. Pairing the EXPS with an EOTech G33 3x magnifier will increase the warfighter's ability to rapidly transition from close quarters combat to long-range shots using the switch-to-side mount. Additionally, the G33 offers increase eye relief and has an adjustable diopter so soldiers can focus the field to their eyesight. 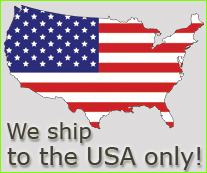 EOTech products are made in the USA. 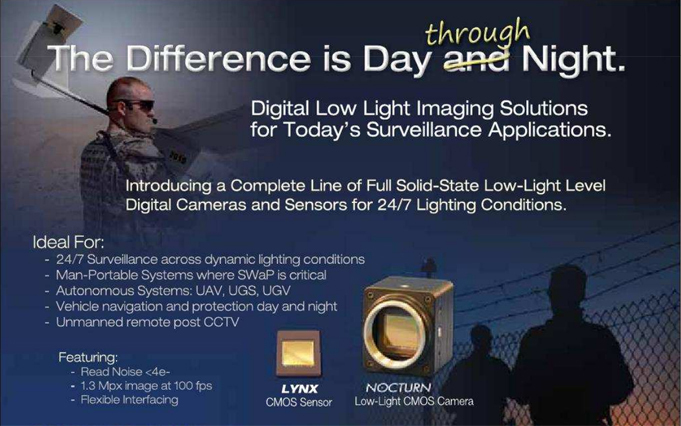 It is powered by Lynx, a PHOTONIS solid-state low-light CMOS-based imaging chip, which enables continual imaging from daylight through bright starlight conditions. Nocturn is equipped with a wide range of on-board electronics that provide automatic gain control (AGC), high dynamic range (HDR), non-uniformity correction (NUC), and advanced image correction. It can be ordered as a complete assembly with several industry standard interfaces, or as a camera core for more specific system integration. Designed to support SWaP requirements, the PHOTONIS Nocturn camera is ideal for surveillance, reconnaissance, and man-portable imaging. The LAS-1000 sniper detector detects snipers before a shot is fired. Binoculars, night vision devices, weapon sights, range poles, datum optical markers, and levelling rods equipped with optical reflectors are all detected and identified by the system. Eye-safe, long range, and effective, the LAS-1000 detects lenses and reflectors in its line of site even if these objects are covered behind bushes, windows, or windshields. Equipped with an IR as well as a green laser illuminator, the LAS-1000 can reliably detect snipers and other optical equipment in a variety of tactical situations. The detector can be combined with night vision, thermal, and other observational devices.